HomeAid Atlanta’s signature event, Project Playhouse, is back! 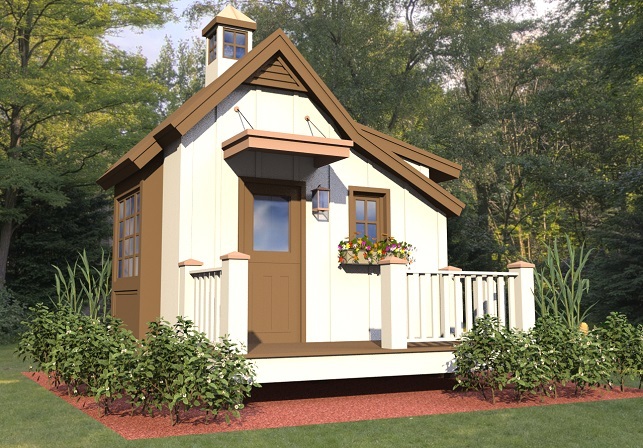 One custom-built playhouse will be raffled off this holiday season, and funds raised will support HomeAid’s mission to build new lives for homeless families and individuals through housing and community outreach. In September, HomeAid, in partnership with home builder and GAHBA member Paran Homes, began construction on 2018’s playhouse, The Saltbox of the Earth, designed by architect Mike Hart of The Hartwin Group. Fifteen volunteers from Paran Homes and Kennesaw State University’s Residential Construction Management program built the playhouse in warehouse space donated by Meridian Brick & Masonry Supply in Smyrna. Starting November 23, The Saltbox of the Earth will be displayed at Avalon in Alpharetta. Raffle tickets to win the playhouse are on sale now through December 13. Raffle tickets are $20 each or $100 for six. HomeAid will announce the winner on December 14. In addition to the support from Paran Homes, KSU, The Hartwin Group, Meridian Brick, and Avalon, the following companies have made contributions to make this year’s Project Playhouse possible: A & W Contracting, Atlanta Flooring & Design Center, Builders First Source, Champion Millworks, Lindsay Windows, Ryder, Sherwin Williams, Trex, and Tucker Door. For more information on this and the work HomeAid does to help homeless families and individuals in the Atlanta area, visit www.homeaidatlanta.org.